Welcome to The Art of Road Racing blog! Here you will find winning knowledge and wisdom for the club racer. Find recent articles below and curated categories in the menu. Popular articles are: the Thunderhill Long Course Guide, Predictive Lap Timers, and The Dive Bomb. We are just getting started, so check back regularly or subscribe to keep up with new content. Enjoy! This is a great video for learning the Thunderhill long course. 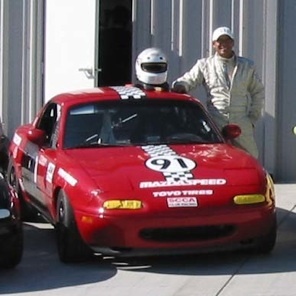 Phillip Holifield, three time SFR Spec Miata champ, is driving. His car was a little under powered that weekend, and he finishes behind the yellow 52. But you can see that he’s using the full track and catching up on the twisties. This is a great example of working the line.